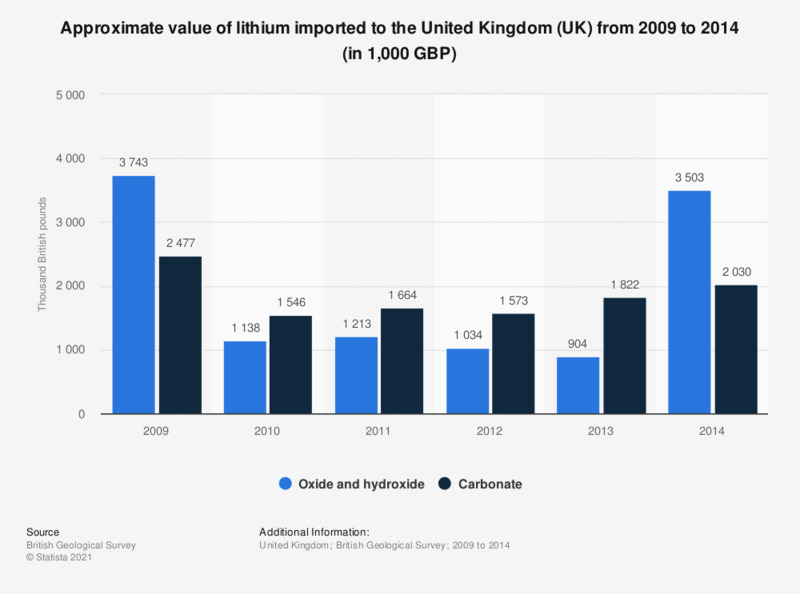 This statistic illustrates the annual import value of lithium oxide, hydroxide and carbonate in the United Kingdom (UK) between 2009 and 2014, in thousand British pounds. In 2013, 904 thousand British pounds worth of lithium oxide and hydroxide was imported to the United Kingdom. The source did not provide a publication date.